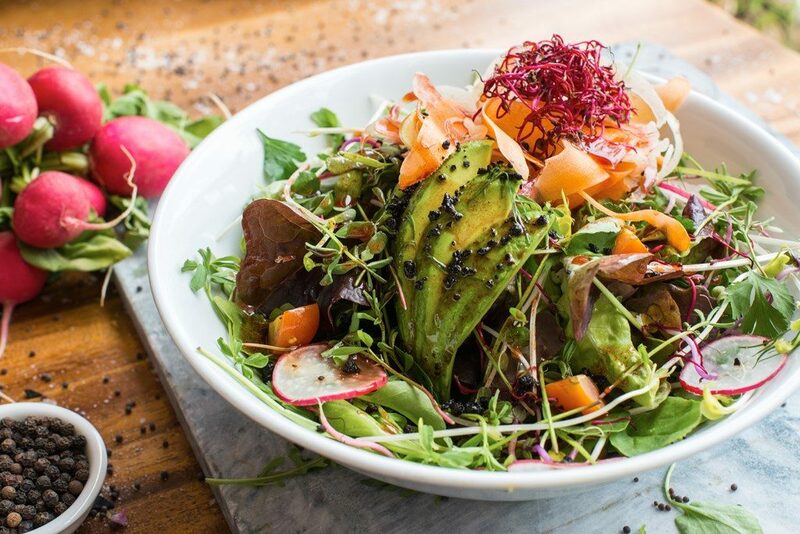 WILD BEETS is a paradise for vegans and non-vegans alike – a super-stylish 100% organic cafe/restaurant in Santa Gertrudis, where everything is made on the premises. 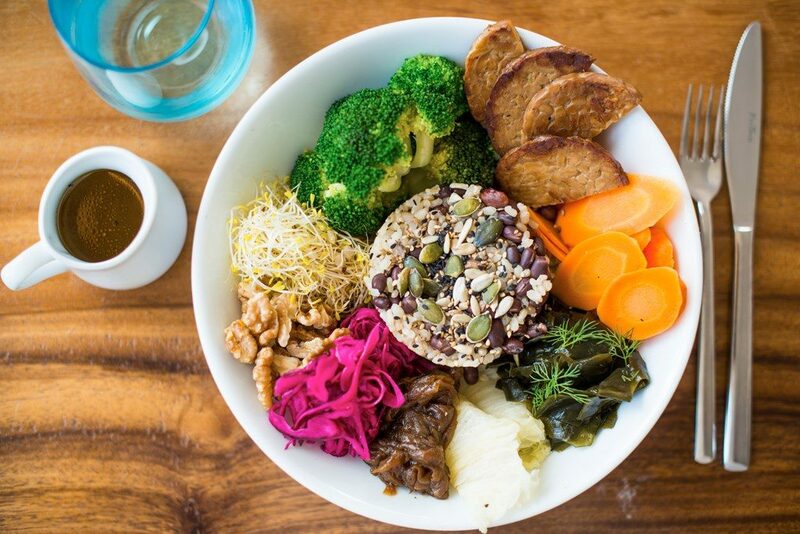 The menu is plant-based, vegan, cruelty-free, gluten-free, fresh, natural and organic. 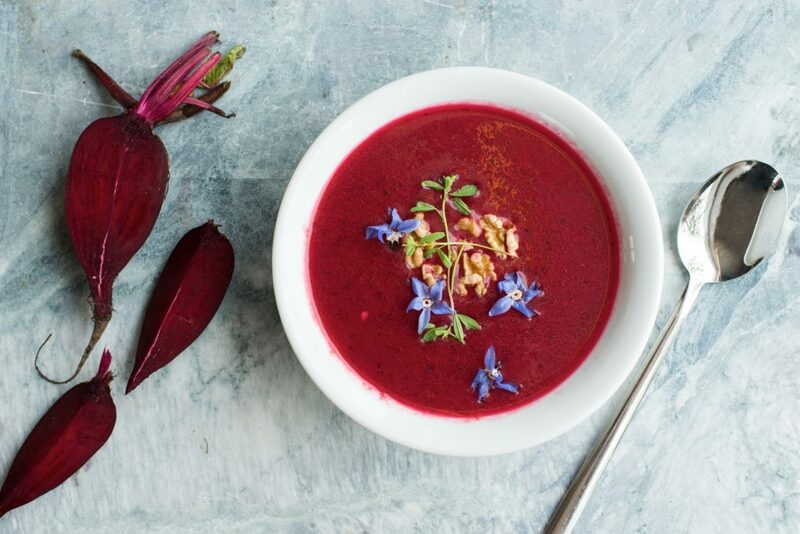 The philosophy behind Wild Beets is serving nutrient dense meals that taste great and look gorgeous. By combining a healthy dose of science, nutrition and a love of good food (and no fads or gimmicks) Wild Beets successfully bring a healthy awareness to the table. Wild Beets is the brainchild of long-time Ibiza resident and native New Yorker Cliff Grubin. After a lifetime travelling the world, Cliff was drawn to Ibiza fifteen years ago, where he started the original legendary Sejuiced in Benirras Beach – the first juice bar on the Island. He then went on to create iPurify, a series of wellbeing-focussed juice cleanses, before launching Wild Beets in 2014. The Wild Beets look is clean, urban and contemporary, with scrubbed wooden tables and simple seating and an outside area where you can watch the world go by. Wild Beets is open all year round for breakfast and lunch, and from May 2018 Wild Beets opens its doors for dinner. Set to be ‘the’ healthy island dinner destination for 2018, Wild Beets is now open until midnight each day. Wild Beets’ new dinner experiences will be complimented with bio-dynamic organic wines and a delicious a la carte dinner menu with signature dishes including Watermelon Tataki – (seared sesame coated watermelon marinated in tamari with miso dressing, served with salad of mixed greens, azuki & mango). Also on the menu is Avocado Cannelloni – (kimchi, cashew & sesame filling, red cabbage pickle gel, and seaweed toast) and caramelised carrot Soup (caramelised carrot, coconut foam, tarragon and ajawan seeds). In winter a circular fireplace in the centre of the room creates a magical warming atmosphere during the cooler evenings. Breakfasts at Wild Beets include pancakes, granola with cashew vanilla yoghurt, curcuma chai or raw chia seeds soaked overnight in almond milk and topped with banana and nuts. 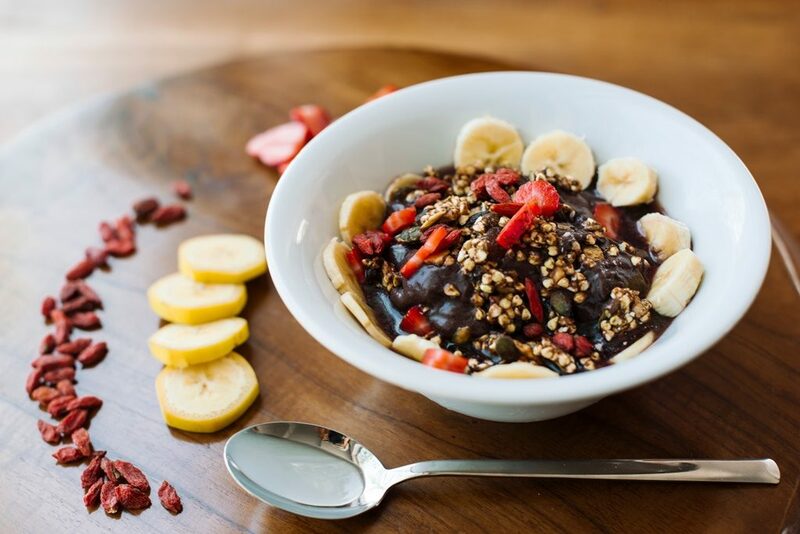 Pair breakfast or brunch with a cold-pressed juice followed by a Vegan Bullet-proof Coffee or a Matcha Latte. Wellbeing warriors will love the homemade gluten-free bread served with smashed curried avocado or the NY style faux salmon & cream cheese. Or for something more substantial the vegan tortilla/fritatta is to die for (why not buy it as a takeout for picnics on the beach) or perhaps try the Mexican-influenced mouth-watering signature Raw Taco. Light lunches include the colourful Wild Salads and Superfood Salads both delicious and energising and served with their own dressings. 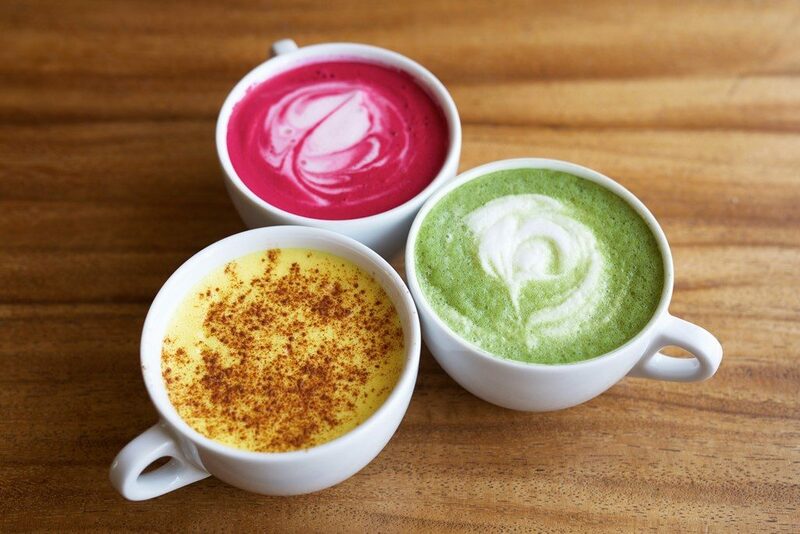 For something a bit more warming the cooked menu includes a lentil and lime soup, the veggie burger or the quesadilla as well as Mushroom Meatballs or perhaps the delicious Raw Beetroot Ravioli. Everything at Wild Beets is homemade, right down to the tomato ketchup, vegan milks and mayonnaise. Also new for 2018 Wild Beets are introducing their own range of silky smooth vegan cheeses, including a delicious Roquefort and Camembert, all made from organic, nutritional, plant based. ethical, sustainable produce.